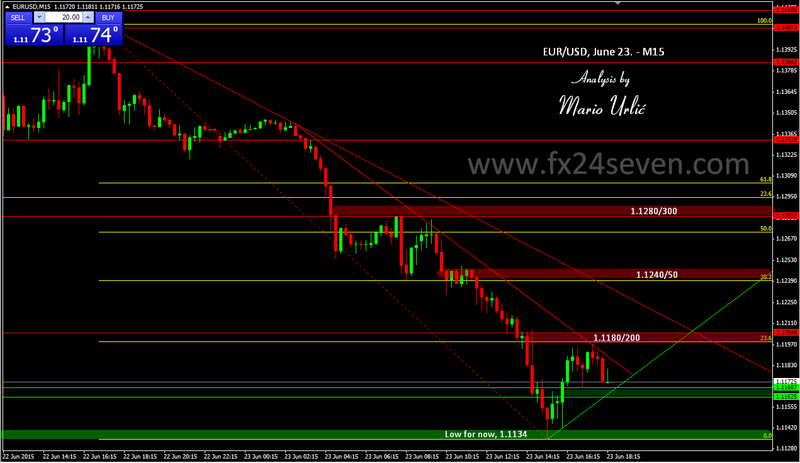 EUR/USD, a decline of 200 pips! With low at 1.1134, the EUR/USD fell over 200 pips today and the sellers are still in control over the pair. The euro is trying to recover and it reached 23.6 fibo return of today’s fall at 1.1197, after wich has retreted back again at 1.1160, where the minor support is placed for now. Amaizing pressure on the pair today, I can’t see how the euro can recover from this, not today, or!? Down trend lines are all over the place, H4/MA’s 200 and 100 are here. It will be miracle for euro to recover from this today.